According to the Paterno family, the following column was written by Coach paterno in late December and early January – less than a month before he died of cancer. The contents were distributed in the form of a word document to former Nittany Lion players Wednesday morning July 11, 2012. We have been asked to send this out to alums and friends of Penn State and Joe Paterno. Joe was going to release this sometime after the Sally Jenkins’ interview but he went into the hospital and it never ran. You are free to forward it. For the last two months, at the request of the Attorney General’s office, I have not discussed the specifics of my testimony regarding the pending cases. And while I will continue to honor that request, I do feel compelled to address comments made subsequent to November 9; specifically, I feel compelled to say, in no uncertain terms, that this is not a football scandal. Let me say that again so I am not misunderstood: regardless of anyone’s opinion of my actions or the actions of the handful of administration officials in this matter, the fact is nothing alleged is an indictment of football or evidence that the spectacular collections of accomplishments by dedicated student athletes should be in anyway tarnished. 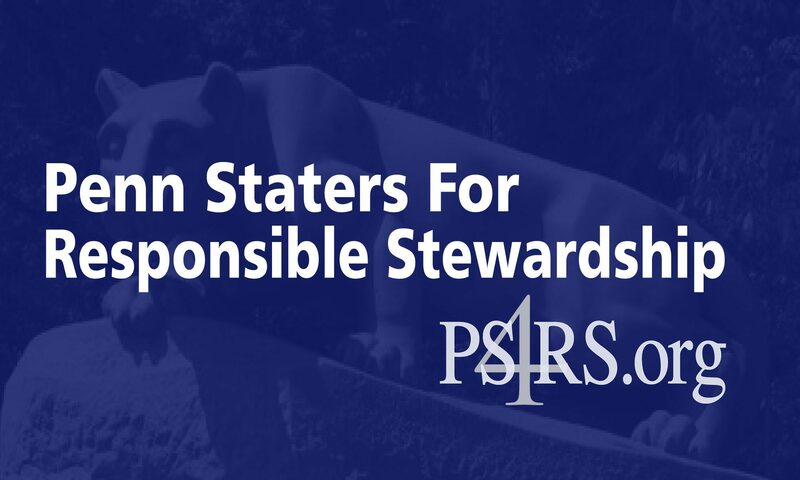 Yet, over and over again, I have heard Penn State officials decrying the influence of football and have heard such ignorant comments like Penn State will no longer be a “football factory” and we are going to “start” focusing on integrity in athletics. These statements are simply unsupported by the five decades of evidence to the contrary – and succeed only in unfairly besmirching both a great University and the players and alumni of the football program who have given of themselves to help make it great. For over 40 years young men have come to Penn State with the idea that they were going to do something different – they were coming to a place where they would be expected to compete at the highest levels of college football and challenged to get a degree. And they succeeded – during the last 45 years NO ONE has won more games while graduating more players. The men who made that commitment and who gave of themselves to help build the national reputation of what was once a regional school deserve better than to have their hard work and sacrifice dismissed as part of a “football factory,” all in the interests of expediency. Penn State is not a football factory and it is ALREADY a great University. We have world-class researchers, degree programs, and students in every discipline. Penn Staters have been pioneers in medical advancements, engineering, and in the humanities. Our graduates have gone on to change the world – even graduates with football lettermen sweaters. That is why recent comments are so perplexing and damaging – Penn Staters know we are a world class University. We can recite with pride the ranks of our academic programs and the successes of our graduates. Penn Staters (and employers) know what we are and the quality of our education. Nothing that has been alleged in any way implicates that reputation; rather, it is only the inexplicable comments of our own administration doing so. Forget my career in terms of my accomplishments and look at the last 40 years as I do: as the aggregate achievements of hundreds of young men working to become better people as they got an education and became better football players. Look at those men and what they have done in the world since they left Penn State and assess their contributions as an aggregate – is this a collection of jocks who did nothing but skate by at a football factory, or are these men who earned an education and built a reputation second to none as a place where academic integrity and gridiron success could thrive together? Penn Staters across the globe should feel no shame in saying “We are…Penn State.” This is a great University with one of the best academic performing football programs in major college athletics. Those are facts – and nothing that has been alleged changes them. Joe’s final writing was both beautiful and clearly stated. We are all appreciative of the Paterno family for making this available to us. We are…Penn State….because he was…Penn State. Wow! I am so proud! Thank you for sending this. Will the sensation headline seeking press ever get to read this? This letter is splendid but, then again, what else would we expect from Joe? God Bless you Joe. We’ll always have your back and we miss you. I am reading this again today and remembering what an icon Penn State has lost. Neither of the two subsequent occupants of JoePa’s job have even approached the integrity and love for the University Joe had. God Bless Joe and the entire Paterno family.